A delightful, short, rich book about writing, deserving of (literal) pocketing alongside Strunk & White’s The Elements of Style. This book is subtitled “lectures and essays on poetry and writing,” but I found it as intriguing as a creative work in itself as it is a wise craft book. On the surface, it appears aimed at poets, but I think all writers can benefit. Hugo has a refreshingly irreverent attitude and I wish I could have known him–he died the year I was born. His self-effacing, humorous, but somehow also very serious approach to writing makes perfect sense to me, and his ideas about practice and luck mirror things I’ve been thinking for some time: that all the “bad” work we put in makes room for the good, and that practice allows for luck. 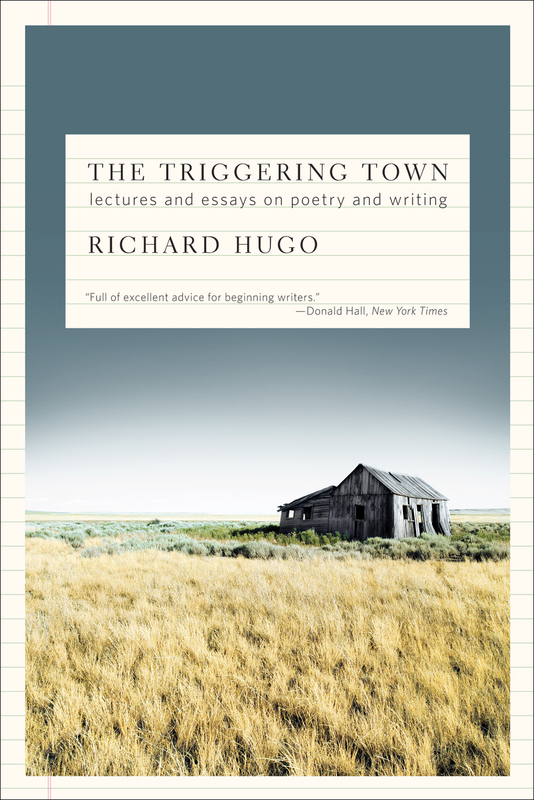 (See the title essay, “The Triggering Town.”) There are some lovely essays in this book, as pieces of craft in themselves. How do we count a craft book? I considered annotating either of the last two, “Ci Vediamo” and “How Poets Make a Living” (that is, writing a craft essay for school about one of these essays). The line between craft books and creative works can be broad and fuzzy, can’t it. Recall again Strunk & White, which is such lovely, humorous, personality-rich writing. I’ll be returning to this one for encouragement and warm feelings. And maybe I’ll get around to annotating some, even. Rating: 9 cartons of cigarettes from Spinazzola.